UPDATE – 13/01/16 – Further updates and some tasks removed. 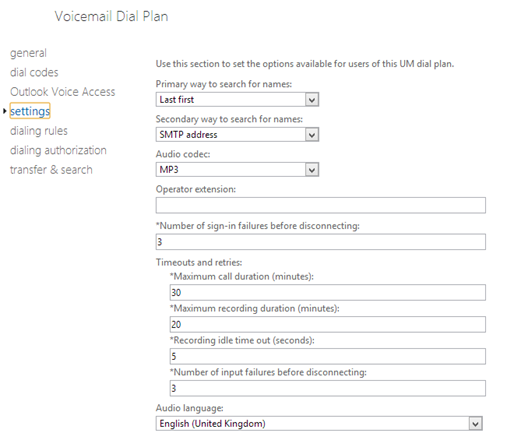 Also note this does not contain any information for configuring Cloud PBX using UM in O365. UPDATE – 10/06/15 I have also tested this configuration with Skype for Business and Exchange 2013 SP1 RU5 Hybrid with the current Office 365 wave. 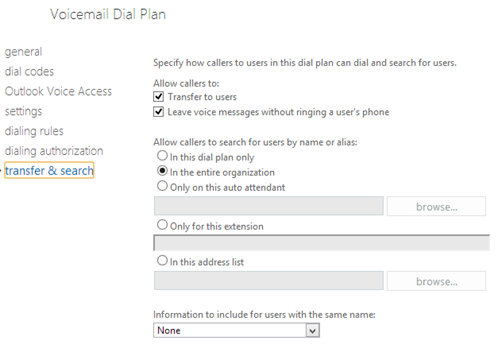 I recently was working with a customer who had Exchange 2010 SP3 on premise but wanted to move all the functionality onto Office 365 whilst keeping Lync 2013/SfB 2015 on premise as this was the companies telephony system. No sweat I thought, well this blog is a list of my findings and how to actually get it configured. 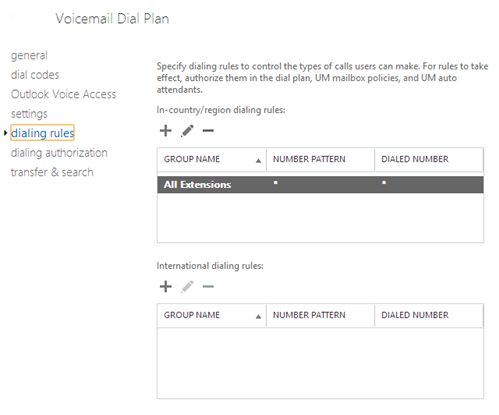 We will start with Voicemail and then discuss Auto attendant later on. 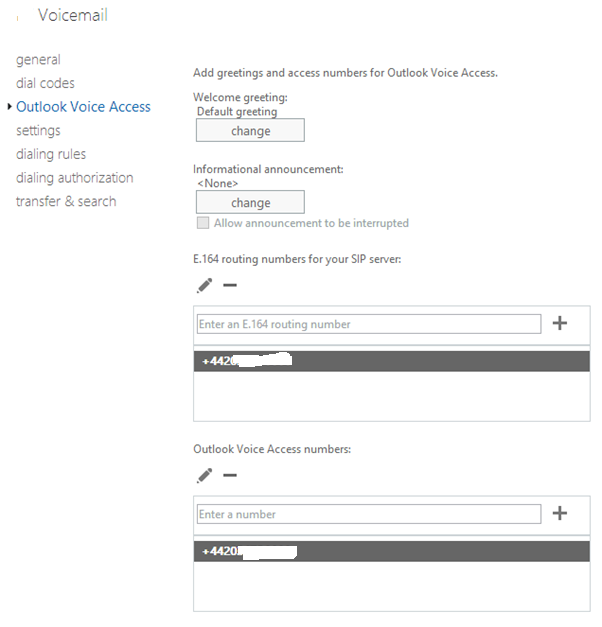 Under the Outlook Voice Access numbers also add the number without the E164 format and any shorter version such as 3/4/5 digits. The Very last step is to configure the user. 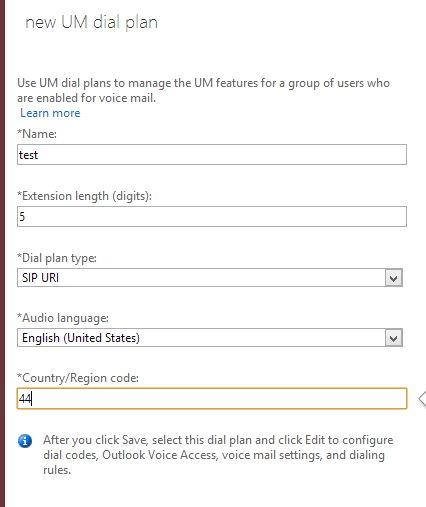 Now if you are setting up UM brand new then carry out the following steps but if you are migrating a user then ONLY carry this out after the user has migrated to Office 365 or you have suspended the move before completion. 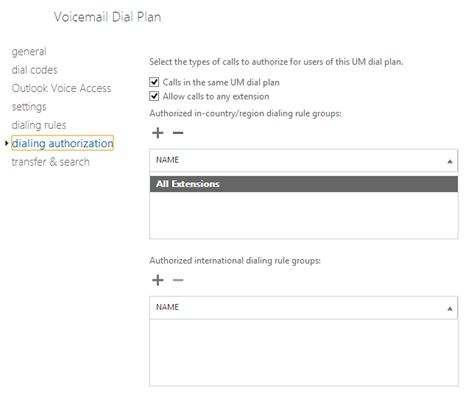 As otherwise UM will route to the cloud and until the mailboxes exists the voicemail message will never be delivered to the end user. As you cannot have a split UM in cloud and mailbox on premise and vice versa. 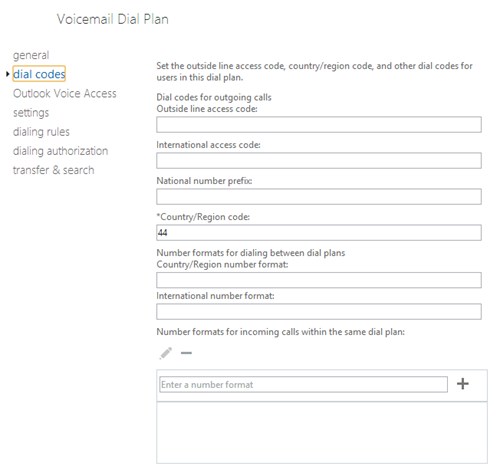 Run get-csuser –identity “accountname” and check that hostedvoicemail is set to true if not run the following command.